Following on from yesterday’s launch of the new Turtle Beach Elite Pro Line Gaming audio gear, Total Beach has today unveiled its new breakthrough HyperSound technology which takes the form of HyperSound Glass speakers which will be showcased at the upcoming E3 2016 game show which starts in just a few days time. 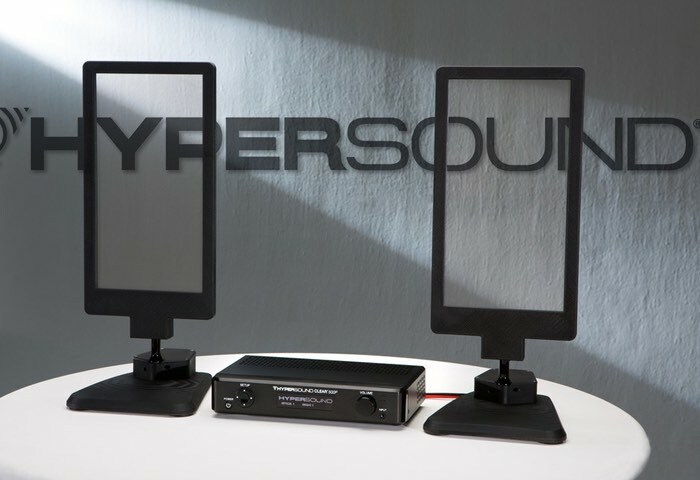 The HyperSound audio technology has been designed to provide a unique way to deliver sound that generates a highly directional, narrow beam of audio in the air. The advancements the HyperSound team is making with directional audio are simply amazing – some of the biggest breakthroughs in audio technology to come along in decades. Being able to create highly directional audio using glass opens up many potential opportunities, including integrating into desktop monitors, commercial displays, desktop speakers, and automotive dashboard glass to provide warnings directed specifically at the driver… pretty much anywhere there’s glass there’s a potential for audio. As we progress the technology, this also opens up licensing possibilities to external parties looking for ways to integrate the latest audio technology into their products. Again, it’s still early in development and the applications are simply ideas on the drawing board, but at the same time having HyperSound directional audio working on glass is very exciting and we can’t wait to show it publicly for the first time at E3. Unfortunately no information on pricing or worldwide availability has been released as yet, but as soon as information comes to light we will keep you updated as always.